The Tanzania Communications Regulatory Authority (TCRA) has announced by a press release on 21st July, 2015, that Dr. Ally Y. Simba will be its new Director General for the next five years. Dr. Simba started his term on 6th July after being appointed by the Minister for Communications, Science and Technology, Prof. Makame Mbarawa, according to the competitive process stipulated in Section 9 and 13 of the TCRA Act of 2013. TCRA is being led by Dr. Simba after a long ten-year term headed by Prof. John S. Nkoma, who had been appointed as Director General in 2004 and among his most recognized achievements is the reduction of internet tariffs, thanks to the landing of the submarine cable network (EASSY and SEACOM) in Tanzania in 2010. Prior to his appointment as Director General, Dr. Simba’s had been Manager for Planning, Research and Risk Management at TCRA from 2011 to 2013. Since August 2013 he was Acting Director in the Information and Communication Technology office in the Ministry of Communications, Science and Technology since 2013. Regarding his academic background, Dr. Simba received his B.Sc. 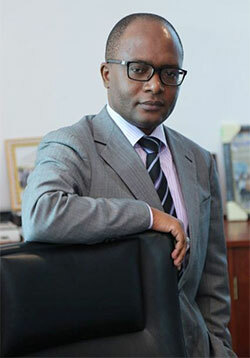 Degree in Electronics, Science and Communications from the University of Dar es Salaam in 1998, and his M.E. and Ph.D. degrees in Electronics and Information Engineering from Hokkaido University in Sapporo, Japan, in 2003 and 2006 respectively. In addition, Dr. Simba is a Chartered Engineer registered with the U.K. Engineering Council and has been involved in several and important research works on telecommunications and health care technology that have helped him to present his results in more than 30 international conferences. TCRA is a governmental institution established in 2003 to regulate the communications, broadcasting and postal service sectors in Tanzania. In recent years, it has focused on the expansion of internet access to support economic development. According to TCRA data in 2008 Tanzania internet penetration was 8.17%. It increased to 22.4% in 2014. According to Internet World Stats Africa’s average internet penetration was 26.5% and a world’s average was 42.3% in 2014. Internet World Stats also indicate that Tanzania is among the top 10 countries in Africa for internet penetration.